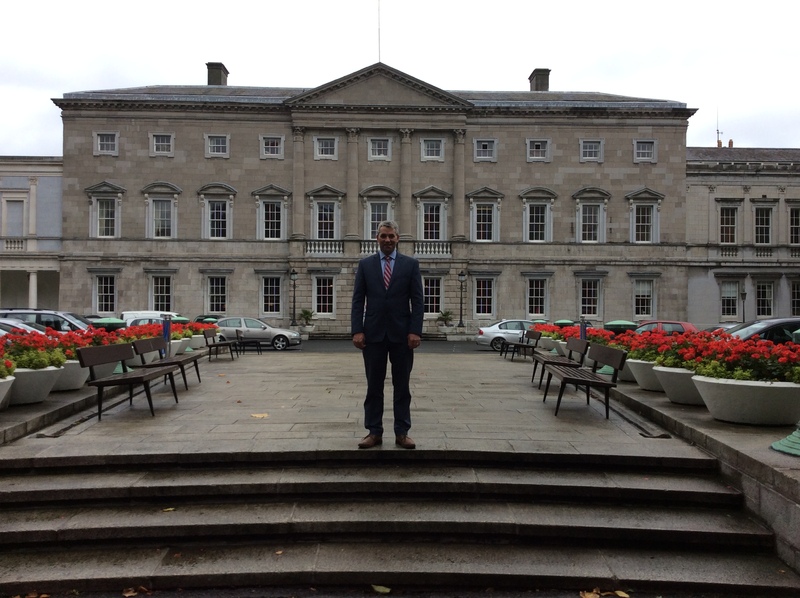 Cork Senator, Tim Lombard, said recent figures from the Department of Education and Skills show an investment of over €344 million in Cork’s school’s since Fine Gael entered government in 2011. The national investment of over €3 billion in the last 6 years has created 95,000 new school places around the country, and demonstrates Fine Gael’s commitment to our education system. Senator Lombard said, “Fine Gael in government have prioritised education. We have set the ambition to make Ireland’s education and training service the best in Europe by 2026. We are investing more in education than ever before to help us deliver on this ambition – over €10 billion in 2018, the biggest ever budget for education. “Education is key to our ambitions as a nation. It helps us to grow a strong economy and gives everyone the opportunity to reach their full potential. “This means being the best at supporting all students, particularly disadvantaged pupils, providing the skills needed for a growing economy, and ensuring our children are educated in high quality facilities. Fine Gael Senator, Tim Lombard, has confirmed that national applications are now open for €3 million Lighting Upgrade Grant Scheme. Senator Lombard said that funding has been increased this year following a successful pilot scheme in 2017, the scheme will be administered by the Sustainable Energy Authority of Ireland (SEAI) and applications are open until May 31st 2018. “The grant is open to small businesses across all sectors, including retail, hospitality, tourism, private education, health facilities, and manufacturing. “Applications can be submitted by individual businesses or by coordinators [who group applications and can deliver lighting upgrades for a number of businesses]. Senator Lombard continued: “The Programme for Partnership Government committed to providing additional resources to help support start-ups and small businesses across the country. “There are currently over 200,000 SMEs operating in Ireland and this scheme aims to support energy efficient lighting upgrades across all SME sectors. “Collectively small businesses account for a significant portion of national and global energy demand. The smart lighting grant will significantly help businesses reduce their energy-use, supporting our local economies but also helping to protect our environment. Brothers of Charity Services Southern (Rosmini Resource Centre Bandon): development of a “post day” service programme for clients living at home. Co-Action West Cork: day/evening provision in the community, day socialising respite. St. Joseph’s Foundation: weekend sessions from base, increase service level at Liskennett Centre. Senator Lombard said: “These service increases, projected for delivery in Q2 2018, will be of great benefit to people with disabilities in Cork, as well as their families and carers. “Fine Gael is using the economic recovery to support the most vulnerable people in communities around the country. In the last Budget an additional €10 million was allocated to improve respite services. This is now being use to provide new centre based residential respite and alternative respite services for people with a disability and their families and carers. “Today’s announcement is designed to help people with disabilities in Cork to lead more independent lives and to have more of a say in their care. “It is also hugely important that carers look after their own health and well-being, and ensuring we have appropriate respite services available locally is critical to that. Fine Gael Senator, Tim Lombard, is encouraging Cork groups to apply for the new €30m Regional Enterprise Development Fund, which was launched by Minister for Business, Enterprise and Innovation, Heather Humphreys. Senator Lombard said: “The Department of Business, Enterprise and Innovation is looking for innovative proposals that are based on collaboration; they want to see groups in both the public and private sectors working together to build on our regional strengths. “Categories include ‘Major Regional Change Projects’, ‘Regionally Significant Change Projects’, ‘Local and Community Enterprise Development Initiatives’ and ‘Industry Clusters’. “I strongly encourage all companies who are interested in applying to check their eligibility and apply to the fund. “The Fund is already open for applications and closes on 27th June 2018. Each region will secure a minimum of €2 million once projects meet the necessary standards. “Regional jobs are a big priority for the Government, which is why it has developed this Fund as part of the strategy to boost growth in rural Ireland. “The June deadline may seem like a long way off, but the process is highly competitive so I would urge anyone in Cork with an idea to start working on their application immediately. Cork Senator and member of the joint Oireachtas Agricultural committee, Tim Lombard, confirmed that over €1.5 million has been allocated towards the introduction of a Fodder Import Support measure. The measure will operate through the dairy Co-operatives and will cover fodder imported by the co-ops from 5th April 2018 to 30th April 2018. Support under the measure will substantially alleviate the cost to farmers of imported fodder (approximately one third). Senator Lombard said: “This has been a long difficult winter, as well as a late spring, which has put great pressure on the whole farming community. This scheme announced my Fine Gael colleague, the Minister for Agriculture Food and the Marine, Michael Creed, will alleviate some of that stress by supporting the importation of up to 20,000 tons of fodder into the country. “The actual beneficiaries will be farmers who urgently need supplies of fodder. The initial allocation will continue until the 30th of April, although the scheme will be kept under ongoing review until the current crises is over. “Application forms, participating Co-ops, and terms and conditions will be made available through the Co-ops and on the Department’s website. Farmers should contact their local participating co-op indicating their intention to purchase and volume of fodder requested. Cork based Fine Gael Senator Tim Lombard has criticised the outrageous expense of the West Cork bus services and the huge pricing difference compared to other regions. Senator Lombard stated: “I have been examining bus fares over recent weeks and discovered that there are major anomalies in the pricing structure of Bus Eireann services, whereby West Cork bus users are charged excessive rates in comparison to almost anywhere else in the country. “A monthly TaxSaver ticket for Kinsale to Cork city, for example, costs €232.50, whilst a Carlow to Dublin ticket only costs €206. Carlow-Dublin commuters are travelling at least 96km one way, and yet they are charged significantly less than Kinsale-Cork commuters who aren’t even travelling a third of that distance. “Even within Cork itself; a return commute from Cork city to Carrigaline would cost the patron less than €4, but travel less than twice that distance to Bandon and the charge is €17.50. “Additionally, there is no real way for regular West Cork bus users to reduce their travel costs. The only annual or monthly ticket available in West Cork is for the Kinsale to Cork city service, which, as previously mentioned, is still incredibly expensive. What about bus users in Bandon? Or Bantry? Skibbereen, Clonakilty, Dunmanway… The list goes on. Senator Lombard also highlighted the large investment made in our public transport systems over recent times but asserted that it was difficult to encourage and promote the use of public transportation when it is too expensive for regular users. Fine Gael Senator Tim Lombard has confirmed that 5 additional places will be allocated on the Rural Social Scheme in West Cork. Senator Lombard said: “At the outset, I would like to reiterate my support, and that of the Government, for the Rural Social Scheme. “In recognition of the valuable work undertaken in rural communities under the RSS, I am very pleased that an additional 5 places will be available here in West Cork. “The new places will provide support to more low-income farmers and fishermen, enabling them to carry out valuable community-based work and thereby helping to deliver on a Programme for Government commitment to rural Ireland. “Since the RSS was launched in 2004 it has delivered a range of positive benefits for both participants and their local communities, becoming a key aspect of community action in many rural areas. “While communities benefit from the skills and talents of local farmers and fishermen, participants also have the opportunity to improve existing skills, or develop new skills, while performing valuable work in here in our local communities. Senator Lombard continued: “The work carried out under the Scheme helps to support countless sports clubs, community services and rural facilities. It is also an important source of extra income to those working in agriculture or fishing on a part-time basis and who have a low income. “Participants provide 19.5 hours a week on a local rural or community project in a return for a top-up on their social welfare payments. Clinics will be held to help West Cork farmers with their online applications for the Basic Payment Scheme (BPS), Fine Gael Senator, Tim Lombard, has confirmed. Further to existing supports available, such as telephone help-lines, how-to guides and instructional videos, staff from the Department of Agriculture will be available to meet with farmers on a one-to-one basis to assist with making their applications. Senator Lombard said: “These clinics have proven successful in the past; farmers can sit down with an official from the Department and make their online BPS or Transfer of Entitlements applications on the spot. “Two online clinics will be held in West Cork: the first on Wednesday 11th April at the Celtic Ross Hotel in Rosscarbery, the second on Friday 27th April at the Beara Coast Hotel in Castletownbere. Both of these clinics will run in the morning, from 9am to 12:30pm. “Online applications offer a range of benefits for farmers and also help the Department to issue these vital payments more efficiently. “The recent growth in the number of online BPS applications shows more and more farmers are finding that the best way to apply for vital schemes such as BPS and ANC is online. “Almost 20,000 farmers have already made their online applications this year, compared to a total of 3,500 applications received at this stage last year. 076 1064420 in relation to queries on completing the BPS application once registered on www.agfood.ie, or to enquire about the one-to-one clinics. The number of people signing on the Live Register in Cork has dropped by 17% in the last year, Fine Gael Senator, Tim Lombard, has said. Unemployment has fallen steadily from a peak of 16% (in 2012) to 6% in February 2018. Ireland is continuing to create a stable, competitive, and secure economy that is open for business. Senator Lombard said: “It is very positive to see that the number of people signing on the Live Register in Cork has reduced so significantly this past year. “Furthermore, since Fine Gael’s Action Plan for Jobs was launched in February 2012, the Cork Live Register has decreased locally by a 53%. This is 23,111 people who are back making a living, to the benefit of themselves, their families, and the local communities. “We can see clearly that the Action Plan for Jobs is continuing to work. Recent jobs data indicates that there are 48,100 more people at work since this time last year, and our enterprise-based economy is now creating over 900 jobs a week. “Fine Gael is committed to driving this further; Ireland is experiencing continued solid economic growth with 3.5% Real GDP growth forecast in 2018. “We will continue this success into the future because we are investing in our talented people, in our drive for innovation and in the future of our infrastructure. “Jobs are also growing in rural Ireland, with 9 out of every 10 jobs created in the past year outside of Dublin. And these are not just in the commuter belt, with 7 out of every 10 jobs created outside of Dublin, Kildare, Meath and Wicklow.